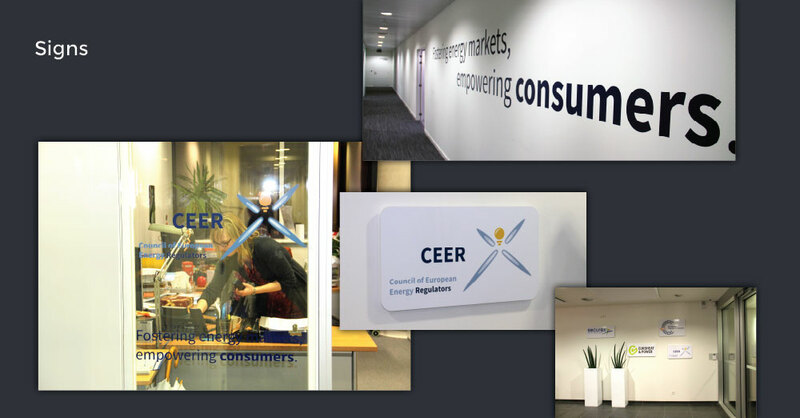 The Council of European Energy Regulators asked us to create their new identity. 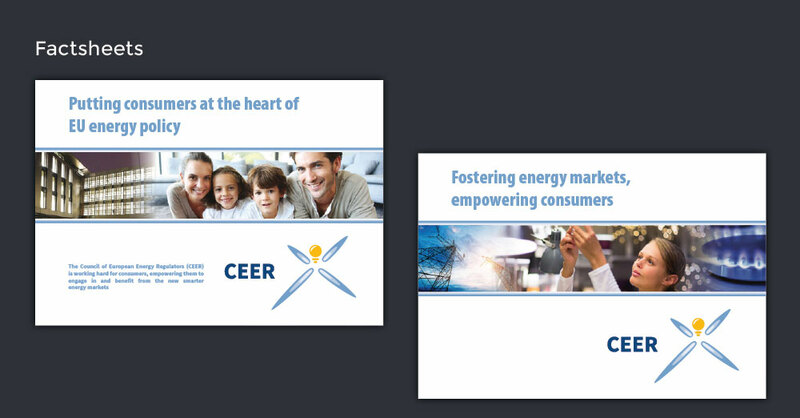 We conceived the new logo as an illustration of their tagline “Fostering energy markets, empowering consumers”. The bulb represents the face of the consumer of which legs and arms are made of the blue gas flames. 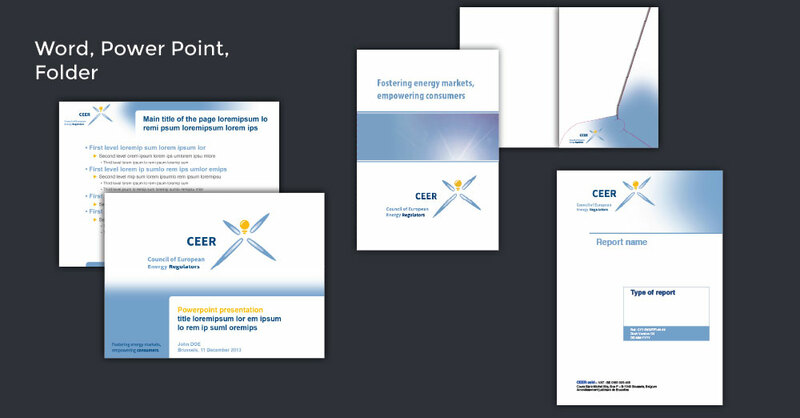 The whole looks like a happy character, well-served by energy suppliers. The fine lines give an impression of safety. 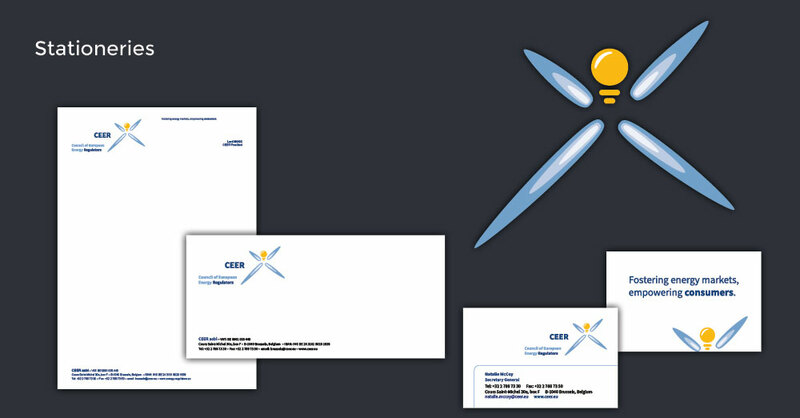 We also designed the stationeries, the signs used in CEER’s new office, web banners, a folder, and two fact sheets.